What comes to mind when you say Batangas? Getaways, beaches, dive spots, and Taal Volcano amongst the many images you can imagine. But Batangas is more than just a weekend road trip. Many Filipinos and foreigners alike have found their dream homes in Batangas for its refreshing greenery and serene environment. Thanks to Avida Land Corp., the affordable housing arm of Ayala Land, for helping make their dreams come true. Depending on your lifestyle, Avida Land has the right home projects that will suit your needs. They have Avida Residences Sta. Monica, which is now selling ready-for-occupancy units in its Phase 3 called The Yards of Sta. Monica, in Lipa, as well as San Antonio Heights and San Rafael Estates in Sto. Tomas. 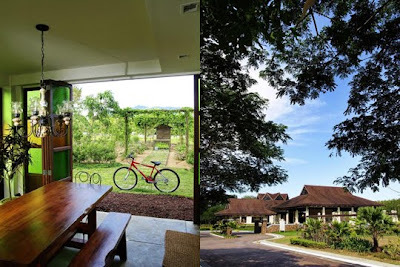 Lifestyle 1: If your type is hobby farming, gardening, and other horticultural activities, you will definitely love the environment in the 100-hectare mixed farm and residential community of Hacienda Sta. Monica. Lifestyle 2: If you're looking at veering away from tall buildings and busy streets of the Metro, rather seeking greener and more peaceful environment with backdrops of mountains and trees, Avida Residences Sta. Monica is a sure buy for you. San Juan’s famous beaches are also just 45 minutes away from here. Lifestyle 3: For a beautiful scenery of Batangas that's mixed with an American Suburbia-themed design, Avida Residences The Yards of Sta. Monica in Lipa may be a good place. Here, you have the choice of which mini-community will best suit your lifestyle -- from Romantic, Sporty to Children’s or Meditation Courtyard. Lifestyle 4: For an environment of country living plus convenience of modern life, Avida Lands offers San Antonio Heights and San Rafael Estates. San Antonio Heights offers house and lot packages ranging from 54 to 81 square meter floor area, for which lots sizes range from 99 to 290 sqm. On the other hand, San Rafael Estates offers bigger lot cuts ranging from 180 to 450 sqm and located in a sloping terrain that gives you a different and breathtaking view of Mt. Makiling. Four types of lifestyles, four different communities to build your dreams on. No matter how different these communities were designed and the lifestyles they cater to, they share the same core qualities of any Avida Land project. Live the sweet life in Batangas today. For more information, you may visit www.avidaland.com. Considering the content of this post, maybe many people would be convinced buying a property in batangas.